Sonm OS is an operating system designed specifically to help suppliers of computing resources connect to the decentralized Sonm platform and start work as easily and quickly as possible. 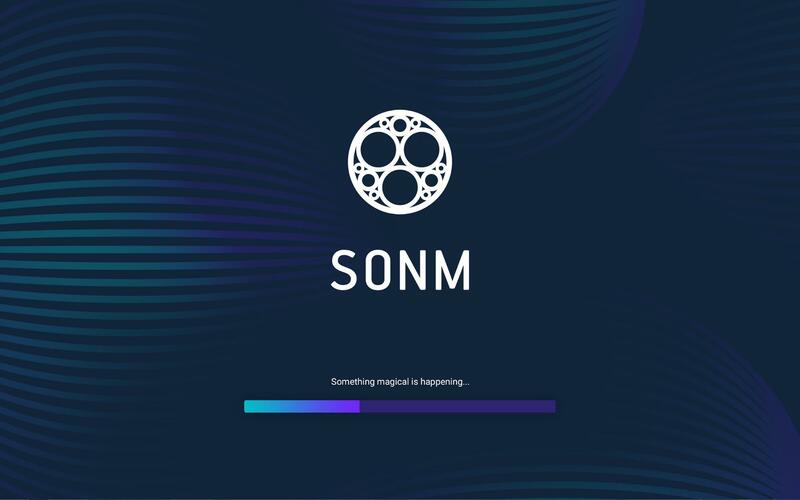 Until now, the user had to install and configure the Sonm software manually, following the instructions on the official website. This procedure assumes that users have the skills to work with OS Linux and the command line, which caused difficulties for some of them. Sonm OS allows you to deploy all the components necessary for the supplier’s worker PC in a few minutes with a minimum of user participation. Easy to install. Run the same installation image on all the computers and connect them to the Sonm marketplace. The interaction of all components is configured automatically. You only need to enter your Ethereum address to start earning money. Easy to use. The hardware configuration analysis and performance testing (benchmarking) will be performed automatically. Once this is done, your resources will automatically be sold on the Sonm marketplace at the most profitable price. Status monitoring. Keep track of the load on your resources and accumulated income in real time on the Worker status dashboard. drivers for GPU NVidia and AMD. analyzes resources and calculates benchmarks for the further rental of computing power at the best price. Sonm OS is installed using a USB storage device. The process is highly automated and requires minimal user involvement. Here are the main steps, and you can start right now! For detailed instructions follow the link. Generate an Ethereum address on the Sonm Market if you do not have one. To start selling resources on Sonm, you need to have an Ethereum address (we call it the Master address), to which all income will be transferred. Download the installation image. We have prepared an HDD raw image for a USB flash drive. Please notice that the Sonm OS installation uses the entire disk space. You cannot use it in dual-boot mode – you will lose any data on your HDD/SDD drive if you do. So make a backup of all important data first. After installation, your new configured worker will appear in the list on the Sonm Market. To launch it you just need to click on the Confirm button. Done! After evaluating the composition of the devices (CPU, GPU, RAM, storage, network) and performance testing (calculating benchmarks), the Sonm platform will automatically begin to search for suitable orders for rental. View your deals in the Sonm Market (Market -> Deals section). 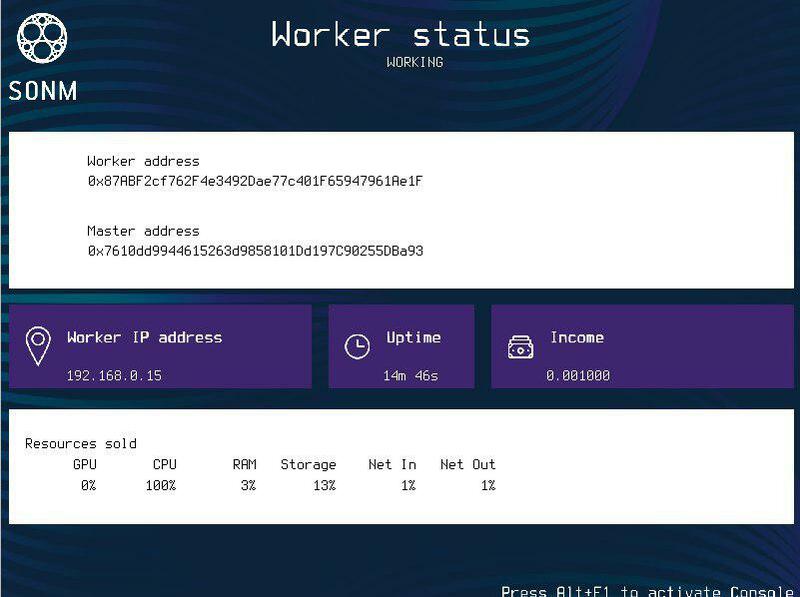 Keep track of the workload and income of the worker in the Worker status dashboard on Sonm OS! First, use the ready-made auto installation script for the necessary Sonm components. After that, you can run applications on the Sonm platform to solve your computing tasks. Secondly, undergo KYC verification. After completing the KYC procedure, you will be able to run any Linux applications in an isolated Docker environment on resources rented on Sonm. Users who have not yet undergone KYC verification can run the computational tasks included in the Sonm Whitelist. Sonm OS is the simplest and most effective tool to help suppliers of resources start selling them on the Sonm marketplace. As part of the further development of Sonm OS, our team is planning a USB flash drive loader, which will allow any computer to run Sonm OS in Live USB mode (without reinstalling the OS). introduction of a notification system for device malfunctions.